A lot has been happening in 2017 and I just realized that I have abandoned my card making hobby for a year now! 😱 Well, it is time to pick it up back and here I am today with a card. 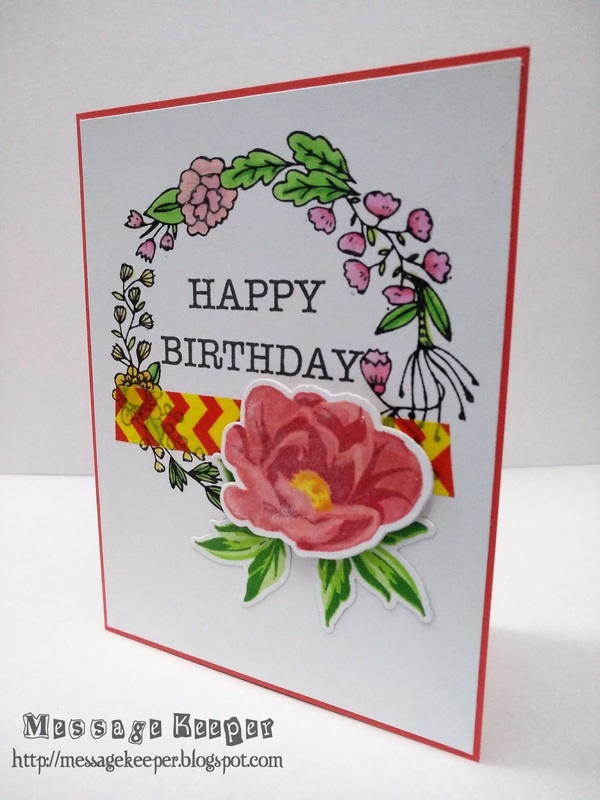 I made this card for my daughter's classmate which my daughter is invited to her birthday party tomorrow night. 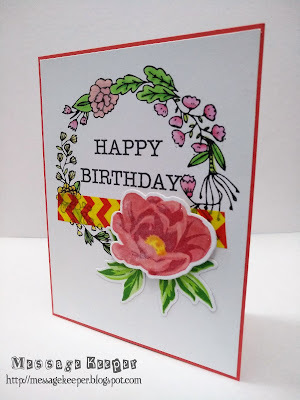 I have to make this card because all my birthday cards stash has used up. 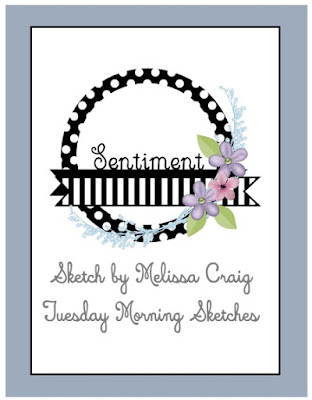 For this card, I am adopting the sketch from Tuesday Morning Sketches #477 as shown above. 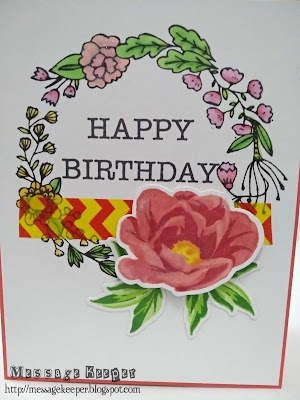 A floral wreath is stamped onto a white card stock and colored using Copic markers. Then, the sentiment is stamped into the floral wreath as shown in the sketch. A washi tape with yellow and red zig zag pattern is attach onto the floral wreath as shown in the sketch. 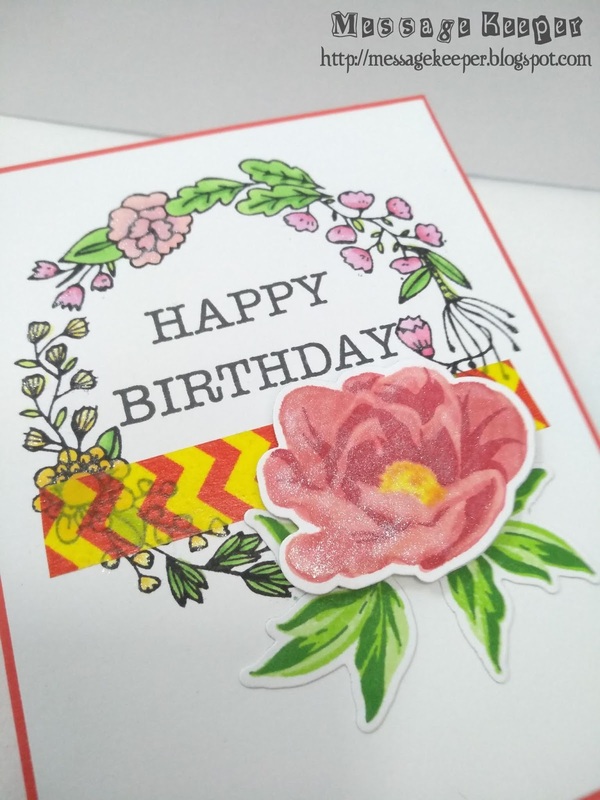 As for the flower embellishment, a layering flower and leaves are stamped and die cut using the matching dies. The leaves are directly attached onto the floral wreath while the flower is attach on to the floral wreath using dimensional foam. The whole floral wreath base is then attached onto a red card base. The card is finished off by adding some shimmer onto the all the flowers.